(You need to know your body and your menstrual cycle for many reasons. This blog is in no way to shame or make any female feel bad about her personal care/cycle knowledge. Just to be clear. This is also only for my ladies out there who want to be more intuitive with their cycles and the effects on general mood and health. Making assumptions about daily choices and health habits creates a lot of grey areas. The best way to document that is from a study where they went out on the street, asking common people basic questions we SHOULD all know. *They asked how many days are you actually capable of getting pregnant? Did you know it’s only two? I am assuming you know nothing in order to write this blog. I was moved to write this blog now because of my volunteer trip to Africa. I saw firsthand how the lack of female education can create monstrous health issues. Things that seem to be easily preventable become common. I kept thinking about how much I wasn’t able to accomplish there as far as education. Then I started thinking about how often my friends, family and in general women in the U.S. don’t know about their cycle/ how to chart and why it’s so important. I thought I would not make assumptions about what you know about your cycle, and help educate anyone I can. In hopes that this information can help you live a healthier, more empowered life. You can be educated and have access to this knowledge, unlike many in Africa! Another reason I chart is to feel empowered. You are in control, you are knowledgeable and can really grow as a person. Self-development is an amazing perk of charting. You can control PMS, you can understand your mood and creative swings in order to live to your potential. Knowledge is power, right? First, I want to give you some good resources for furthering your knowledge. A great resource for tips and more back story on your cycle (specially with fertility), I encourage you to check out the podcast, Birth, baby and life. Kristin also has a website,www.naturalbirthandbabycare.com which covers great topics and I refer my Doula Clients/friends to her podcast often. By far my favorite blog and podcast for all things fertility is Fertility Friday’s. There are also apps that you can use to store your cycle details. I personally use P. Tracker on my iPhone. I almost cried last year when I switched from an android phone to an iPhone because I lost all my charting info! BE WARNED! 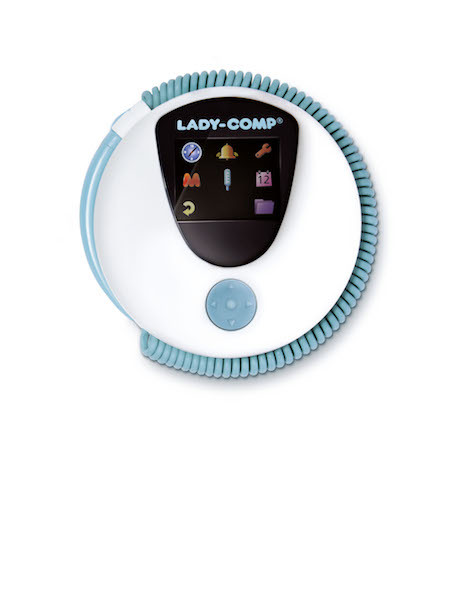 ​If you want to take charting to the next level and have all your bases covered in one machine, check out the Lady Comp(get a discount) fertility monitor. Here is aYouTube video I love that breaks down how easy a lady comp monitor is (avoiding pregnancy &“family planning”). 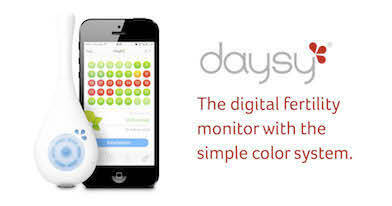 They have an updated version called The Daysy (link for another sweet discount) and it is even easier to track with! I highly recommend you read the fertility awareness method “bible” Taking Charge of Your Fertility. It changed my health and understanding of my body! My next goal for tracking is to usethe Fertility Friend program on my computer. That way if my lady comp dies, or I lose my cell phone data(Again) I have my back up. I know there are a lot more benefits when tracking this way but need to do more research on it personally. Maybe a future blog post if you ladies like this topic! With that out of the way here is a breakdown of your cycle. Your cycle begins with your period (Day 1) this starts your Follicular phase (Day 1- day 14). Your first day of your cycle is the day you start your period. The average cycle is 28 days. But a healthy range can be 28-35. Day one your period begins the shedding of your uterine wall because it built up a lining in hopes of conception. When that doesn’t happen (your egg being fertilized by sperm) your body breaks down and then re builds for next month. Fertility only happens in a window of a week. Three and ½ days on either side of your ovulation can you actually become pregnant. There are variables with the sperm and egg but your egg only lives for 12 to 24 hours after ovulation. To know more clearly your fertile window, you can track your basil cell temp each morning before getting out of bed. To chart you write on a calendar or app what day you start your period. You can start to chart symptoms the day you start your period, along with your amount of flow. If you’re using a basil cell thermometer you will take your temperature before you move too much or get out of bed each morning. This resting temperature tells you a lot about your cycle. You chart this by hand or use the lady comp and it stores the info for you so you can hit the snooze button. The second phase of your cycle is the Luteal phase (Day 14-1), this is when conception happens. The next step to charting is getting more in depth with charting your fluids in the Luteal Phase. I know this gets to the uncomfortable next level for some but it can be useful information. If your fluid is tacky you are most likely fertile/ovulating (you can compare that with your temperature) it will go from a creamy constancy to more egg whites. Dry obviously means you’re not producing eggs or don’t have the fluids to hold sperm. THUS not fertile. If your fluid is always a bit watery that can be an indication of fertility issues. I will talk more about that in a separate blog. To break it down again…your cycle works like this….fluids build up and your temp will spike (less than 1%) when you ovulate. It sounds minor but its shows when your tracking. I promise. Then you reach your luteal phase when you ovulate. After you ovulate your fluid is dry and your temp stays consistent and hot, you’re not fertile here. Your temp goes back down after you ovulate. This takes you up to the first day of your period, everything built up and since you didn’t use your egg your body starts the break down all over again! There is more to this whole process but I hope that starts the conversation and knowledge of this subject. I want to mention that there is a Tri-phase, its shown in a third level of your temperature (I can go more over this in another blog if you ladies are interested) Other things you need to consider in how your temperature changes; stress, medications, or a night of drinking. Also be aware that a lack of a luteal phase can indicate issues with fertility. This is part of why having a period is so important, even if you’re not wanting to get pregnant right now. Here is a bit more information on the damaging effects of long term birth control use and skipping your period. Another topic I love is Seed Cycling to balance your hormones and get your period back if you have Amenorrhea. This is also great for fertility. Check out my blog on Seed Cycling. Click the images below for more information and discounts!